Composed by Donato Begotti and Roberto Fazari. Arranged by Claudio Riffero. This edition: International. Guitar Method or Supplement; Reference Textbooks. Book. Alfred Music #99-MB310. Published by Alfred Music (AP.99-MB310). 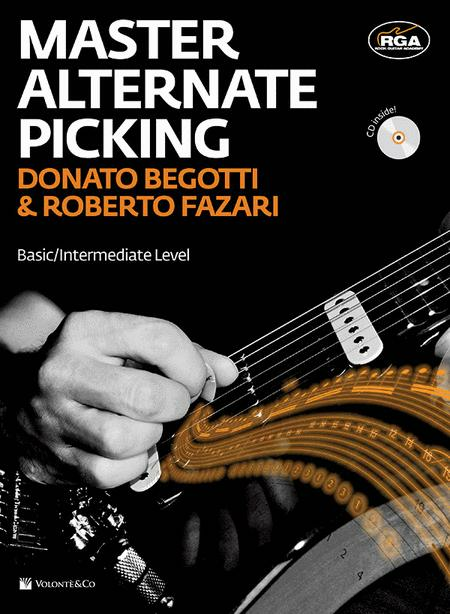 This book is based on the TAPI (The Alternate Picking Improver) course, which is a highly successful course on alternate picking, divided into eight fun lessons of increasing difficulty. The goal of the course is to develop your technique (speed, touch, precision, dynamics), musicality (timing, ear training, knowledge of licks from different musical styles), body positioning (limb and posture control), study method (to define a useful and personal study strategy), and emotional control (confidence in your performance).